TUSCAN COUNTRY HOME - This European inspired home with Mansard roof is set on an 8400sf corner lot and surrounded by a lush garden oasis. You'll be greeted by a Dutch door as you enter this fully renovated post & beam home. The bright spacious living room features refinished hardwood floors and large fireplace. Upstairs - a loft style studio with skylight & 1 bedroom. This 4 bedrooms, 2 bath home boasts a gourmet country style kitchen with new SS appliances, expansive dining room with French doors & terracotta tile. Nature lovers will appreciate walks along the Traboulay POCO Trail. 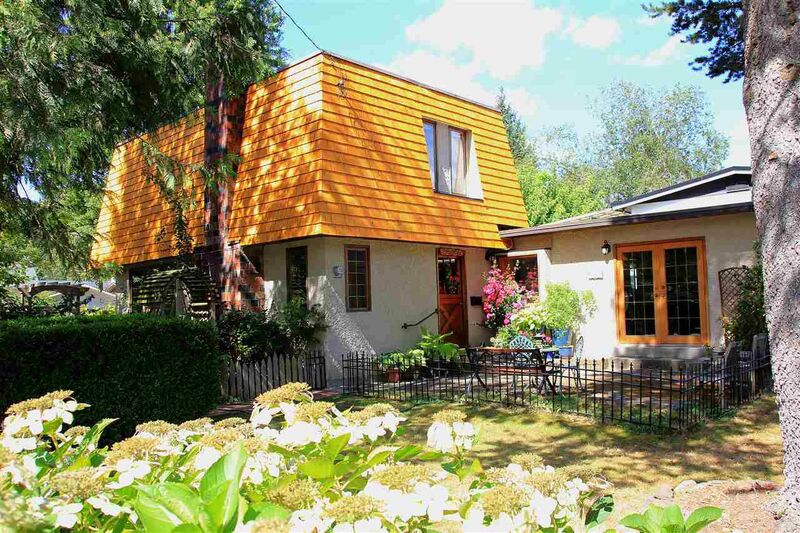 Close to both West Coast Express & Evergreen Line, this home is perfect for the addition of a Laneway House. OPEN HOUSE: March 26, 3-5pm.